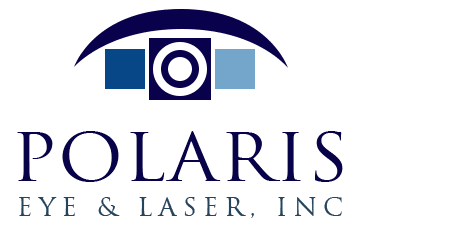 Polaris Eye & Laser, Inc., is pleased to offer laser vision correction (LVC) for our patients: LASIK and ASA, previously known as PRK. We are continually improving laser eye correction for greater safety, comfort, and predictability. At Polaris Eye & Laser, Inc., all postoperative care is personally provided by Jeehee Kim, M.D., our LASIK surgeon at our home office. While some laser eye surgery clinics send patients to a third-party ophthalmologist or optometrist for postoperative eye treatment, Dr. Kim provides better care by personally following your progress from your first LASIK consultation to the completion of your postoperative check-ups. Dr. Kim offers several laser vision correction (LVC) procedures and uses only the most advanced techniques and technology. We are continually improving laser eye correction for greater safety, comfort, and predictability. Laser-Assisted In-Situ Keratomileusis (LASIK) is a surgical procedure intended to reduce dependency on eyeglasses and contact lenses. Nationwide, it is performed on nearly 1 million patients each year to correct myopia (nearsightedness), hyperopia (farsightedness), and astigmatism by permanently altering the shape of the cornea. The cornea is the clear covering of the eye that arches over the pupil, like the crystal over the face of a watch. Corneal reshaping changes the eye's focusing power, so that vision is clear without glasses or contact lenses. During LASIK eye surgery, you will be lying on the laser bed and your eyelids will be held open with a device called a lid speculum. You will be asked to focus on a special fixation light in a microscope. A thin surface layer of cornea is separated with an instrument, called a microkeratome. A microkeratome is used to create a thin hinged flap of cornea tissue. This thin flap is then lifted and folded back to expose the tissue just below the cornea's surface called stroma. Next, looking though a microscope, your surgeon uses an excimer laser to reshape the cornea by removing a precise ultra-thin amount of the exposed cornea. 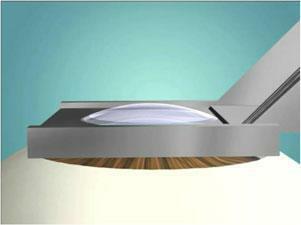 A thin hinged flap is lifted to one side and laser energy is applied to reshape the exposed surface of the cornea. The amount of tissue to be removed is calculated based on the preoperative determination of the power of your eyeglasses or contact lenses. The cornea flap is then returned to its original position and within minutes natural forces hold the flap down on the cornea. Usually, no stitches are required to keep the corneal flap in place. LASIK can be used to correct nearsightedness or farsightedness, with or without astigmatism. The tissue flap is placed back onto its original position. 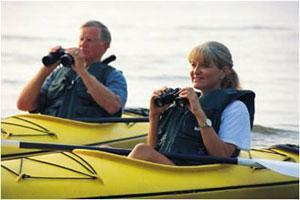 LASIK eye surgery is performed on an outpatient basis. You will be able to go home after your LASIK eye surgery, but you will need to arrange for someone to drive you home and bring you back for a follow-up visit. LASIK eye surgery generally requires 20 minutes of operating room time, but the actual duration may vary according to the type and amount of correction needed. A mild sedative, such as Valium may be taken to help you relax. You will be given eye drops to numb your eyes. You must wear protective eye shields for the first several nights to prevent rubbing your eyes, and you will be required to use eye drops on a regular basis for a few weeks after LASIK eye surgery. You may need to use lubrication eye drops for several months after your LASIK eye surgery. In very rare circumstances, you may need to wear a special contact lens on a temporary basis after LASIK eye surgery. Generally, your vision will be stable in a matter of weeks. Currently, LASIK is the most popular laser vision correction procedure due to its high success rate and rapid recovery of vision. LASIK is considered extremely safe for recommended patients and results can be almost immediate. Most patients enjoy significantly improved vision and may return to their normal daily activities within a few days of surgery. LASIK eye surgery is an elective procedure. There is no medical condition or emergency condition requiring that you have LASIK eye surgery. 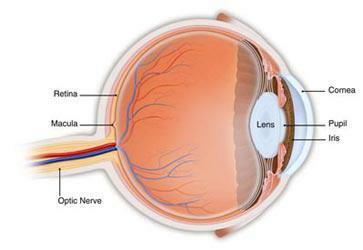 It does not correct all levels of refractive error and it is not for everyone. We cannot guarantee that LASIK eye surgery will improve your vision, or that it will eliminate your need for eyeglasses or contact lenses. After laser eye surgery, you may still need eyeglasses or contacts for some purposes, either immediately after having laser eye surgery or years later. It is unrealistic to expect that your vision will remain perfectly stable, as laser eye surgery may lead to short-term changes in the cornea or because your eye may change over time. LASIK may be the right choice for you if you answer yes to the questions below. We recommend that you receive a specialized comprehensive eye examination performed by a LASIK surgeon prior to you making your decision. Are you 21 years of age of older? Is your prescription within -1.00 to -11.00 diopters of nearsightedness, or up to +5.00 diopters of farsightedness, or do you have astigmatism less than 5.00 diopters? Has your prescription been stable for at least one year? Are your eyes healthy and free of disease or serious ailments? Are you informed about the risks and benefits of LASIK? Do you know about the alternatives to LASIK? Do you have realistic expectation about how LASIK can improve you vision? It is very important that you have as much information about LASIK as possible before making an informed decision. Because of this, we encourage you to contact us to schedule a complimentary consultation so you can learn more about LASIK vision correction. Advanced Surface Ablation (ASA), formally known as PRK (photorefractive keratectomy), is a form of outpatient corneal surgery in which a surgeon removes the surface layer of cells on the cornea called the epithelium, and then reshapes the corneal bed with the laser in the same way as LASIK surgery. As in LASIK, ASA is a vision-correction procedure in which the excimer laser corrects myopia (nearsightedness), hyperopia (farsightedness), and astigmatism by permanently altering the shape of the cornea. ASA can reduce or eliminte the need for glasses or contact lenses. The difference is that ASA alters the cornea on its surface whereas in LASIK the corneal reshaping occurs within its body, or stroma. 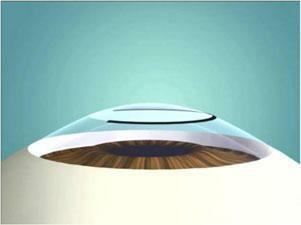 In ASA, no microkeratomes are used to create a corneal flap. 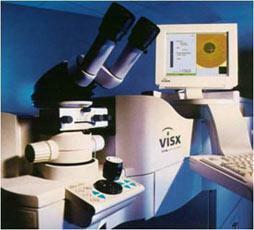 PRK with the VISX Laser was approved by the FDA in 1996 after the completion of trials that began in 1989. Studies have demonstrated that approximately 80% of eyes will see 20/20 one year after PRK. Ninety-five to ninety-eight percent of eyes will see 20/40 or better, the level of vision required to drive without glasses in most states. The original PRK has a reputation for causing postoperative pain and sometimes scarring and regression. PRK has evolved to ASA as current lasers are now faster and more precise, for smoother shaping and less scarring of the cornea. We use medications before, during, and after surgery that minimize pain and scarring. We use contact lenses during the healing period for more comfortable healing. An Amoils brush is used to remove the epithelium. 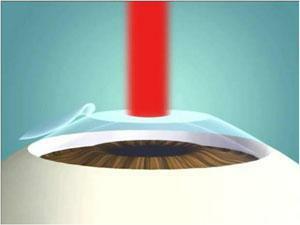 Laser energy is applied to reshape the exposed surface of the cornea. During PRK, the top layer of the cornea called the epithelium is removed to expose the cornea's mid-section, the stroma. Next, excimer laser is applied to reshape the stroma. Patients typically experience mild discomfort for several days after the procedure while the cornea’s surface layer regenerates. Special contact lenses and eye drops are used to help speed healing and minimize discomfort. A pre-surgical examination can determine if your eye is healthy and suitable for ASA. This will include a complete physical and eye history, and thorough examination of both eyes. 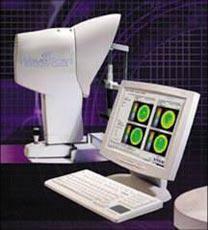 In addition, computerized mapping of your cornea will be done to determine if it is smooth and properly shaped. Before the surgery, please tell your doctor whether you take any medications or have any allergies. Also, talk with your doctor about eating or drinking immediately before the surgery. You should also arrange for transportation since you must not drive immediately after the surgery. You may resume driving only after receiving permission from our doctor. After the surgery, you will be mildly sensitive to light and have the feeling that something is in your eye for the first few days. Sunglasses may make you more comfortable during this time. Your vision should become stable within the first several weeks after surgery. However, you may experience some small changes (for example, improvement or worsening of your vision) that may occur up to six months or more after the surgery. Mild haze or cloudiness can be seen in the cornea following PRK but usually does not affect your vision. This haze tends to decrease over time and usually completely disappears over a 12- to 24-month period. 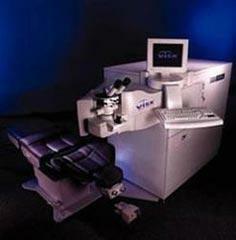 The STAR S4 IR™ Excimer Laser System is designed to bring Advanced CustomVue™ laser vision correction to life. Featuring VSS Refractive™ technology (Variable Spot Scanning) and VRR™ (Variable Repetition Rate) pulse-packing algorithm, both proprietary to AMO, the STAR S4 IR™ Excimer Laser reduces thermal effects on the cornea, allowing you to perform the Advanced CustomVue procedure quickly and effectively, while maximizing patient safety. Delivers benefits of Iris Registration (IR). Conserves tissue by optimizing treatment times and minimizing thermal effects on the cornea. Minimizes additional time for wavefront-guided custom treatment over conventional treatment. Eliminates the need for dilation; laser tracks on the natural pupil. Adjusts for intra-patient (XYZ) movement with ActiveTrak™ to further improve treatment accuracy. Dr. Kim of Polaris Eye & Laser, Inc., is pleased to offer Wave-front technology, CustomVue, to our eligible patients. This technology was originally developed to sharpen the images seen by telescopes viewing distant objects in space. 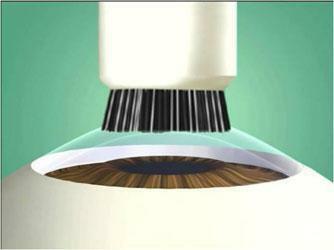 This same technology can now measure the imperfections in an eye's optical system and was FDA approved for use in 2003. Wave-front technology is a sophisticated technique for measuring optical distortions or aberrations in the eye. This method calculates how light is changed as it enters and exits the eye. This calculation is then used to produce a precise three-dimensional map or "Wave-front" of the visual system of the patient's eye, including the cornea. The surgeon uses this Wave-front map to program a laser for the refractive surgery. Each individual eye receives a very detailed personalized treatment designed to correct the unique imperfections in that person's vision, allowing added precision. 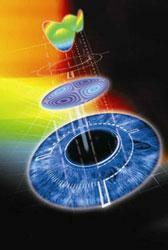 With Wave-front guided custom laser vision correction, no two laser treatments are identical. The Wave-front computer creates a three-dimensional map of the eye’s visual system. Wave-front technology may be the only way to detect optical distortions, which may otherwise cause glare, haloes, and blurry vision. Wave-front technology can be used to perform LASIK or PRK. Following CustomVue laser vision correction, many people see significantly better than they ever saw with eyeglasses or contact lenses. 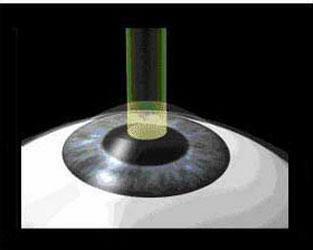 Refractive surgery using Wave-front technology is FDA approved for a limited range of refractive errors. Therefore, not all patients eligible for LASIK or PRK meet the criteria for Wave-front technology. Also, if you have minimal aberrations, conventional laser vision correction may be the best option for you. If you are interested in finding out if this new technology is beneficial for you, contact us at 408-358-3932 to schedule a complimentary laser vision correction consultation with Dr. Kim. Financing options are available for those who qualify through Care Credit. Please contact us for more information.